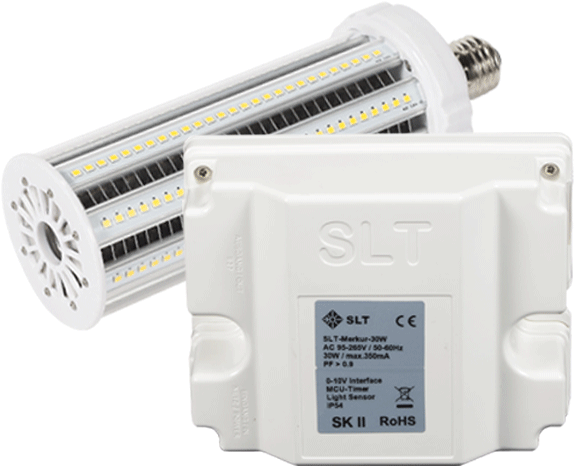 The SLT E27 Intelligent Ballast self-adjusts parameters for a healthy LED environment, such as working temperature and power output. The Integrated Surge Protection take care in an unstable power grid situation, like lightning strikes, or overvoltage jumps. 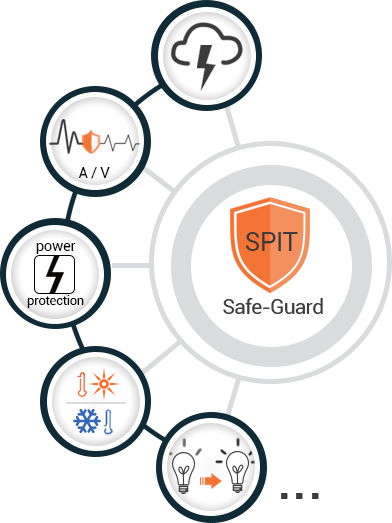 The SPIT Technology adjusts also the working conditions of an LED at extreme hot and cold weather. 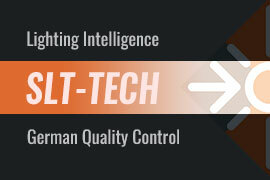 The integrated COL technology control the constant brightness of our LED products over lifetime. Our SPIT™ Technology ensures the stability of the performance and long life, reduces the maintenance and repair costs, and keeps traffic moving safely. Size and cooling balance is a technical difficulty. 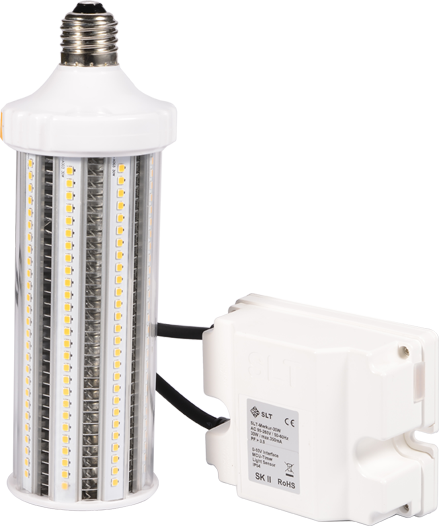 LED lamps with a huge heat sink and a big form-factor are very common in the market. Our LED retrofit system change this and make it easy to replace your old lighting system. Most old street lamps pedestrian way lamps and others could be easy upgraded into a new energy efficient lighting system with modern technology. A small diameter of less than 80mm make it simple and easy to fit in your lamps. Saving much more money by innovation. 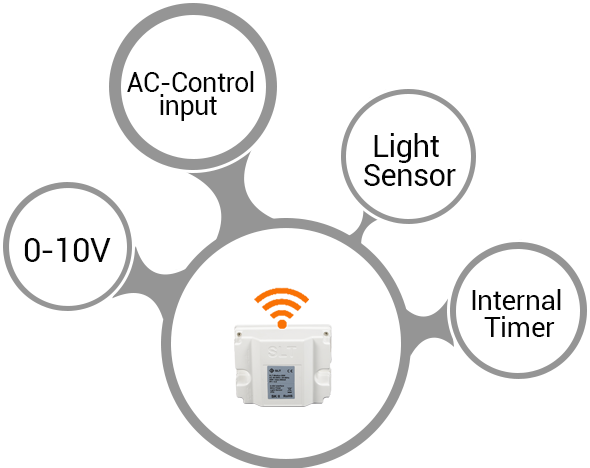 City lighting control becomes flexible, The SLT E27 Intelligent Ballast integrated a variety of dimming methods, such as 0-10V, AC-Control input, Lighting Sensor, Internal Timer, etc. The integrated dimming system can be customized according to actual needs, brings convenience to city lighting management, reduces the light pollution, and makes urban lighting more natural and useful for the citizens. Not just replacement kit, but also further energy saving.